Students are given online simulation tools at PHET Colorado as well as a set of key learning objectives. 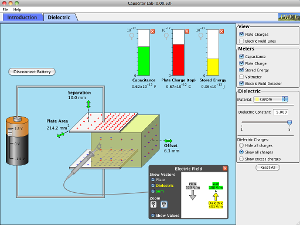 In teams, they are then tasked with using these resources to build a lab for future students which has students performing experiments using the simulations to better understand the learning objectives. My students do some pretty neat stuff when given such open-ended assignments, and the quality of the work is often times at a level where, with minimal modification, it could be handed out to another class as an actual lab learning activity.